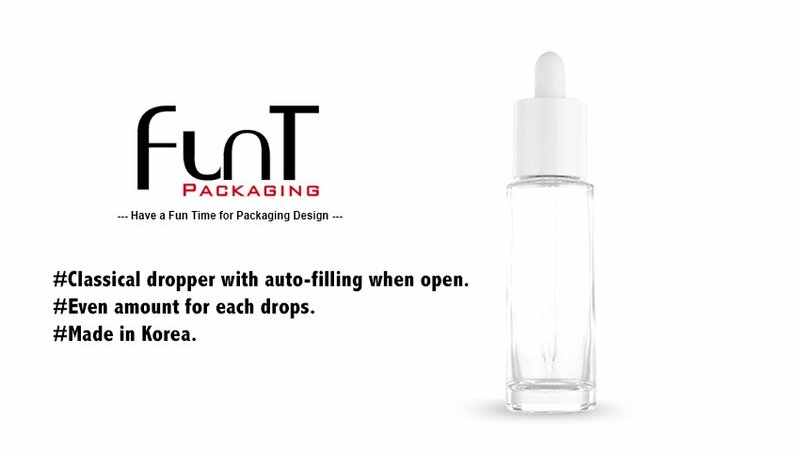 Patented Auto-filling Dropper with 30ml glass bottle - Funt Packaging Co., Ltd. The heavy weight of glass bottle with auto fill dropper. The new innovation for the traditional dropper look, but with the auto fill function when you open the dropper to apply. or you could manually apply by squeezing the rubber teat. Controllable dropper to even dosage at drops by drops. Patented High quality packaging helps the products more luxury and functional which was made in Korea. Contact us for more details…….